Amazing line-up for our May 4th benefit concert! 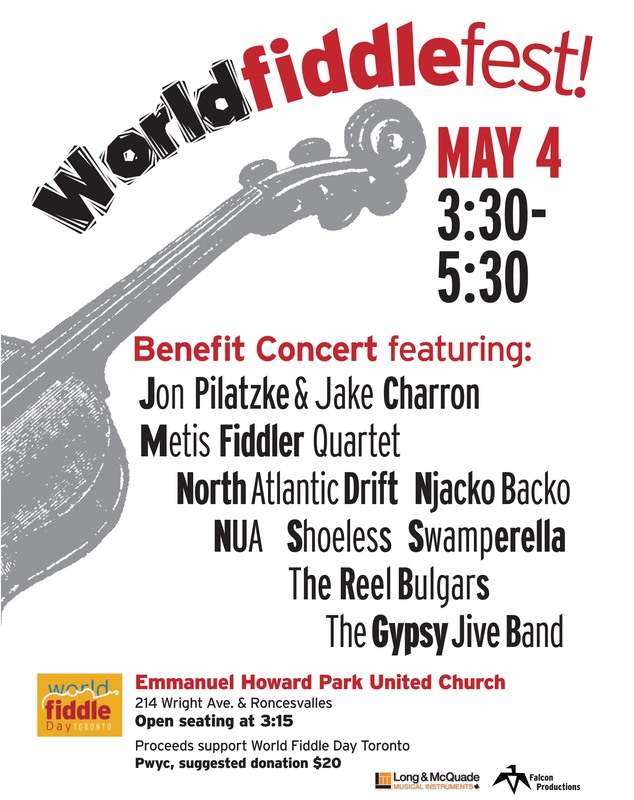 Poster for World fiddle fest! fundraising concert, May 4 – 3:30 to 5:30 – Emmanuel Howard Park United Church.